Convergent evolution is the process by which unrelated or distantly related organisms evolve similar body forms, coloration, organs, and adaptations. Natural selection can result in evolutionary convergence under several different circumstances. Species can converge in sympatry, as in mimicry complexes among insects, especially butterflies (coral snakes and their mimics constitute another well-known example). Mimicry evolves after one species, the 'model' has become aposematic (warningly colored) because it is toxic or poisonous and therefore protected (Wickler 1968). Two distinct kinds of mimicry are recognized, Batesian and Müllerian. In Batesian mimicry, the mimic is palatable or unprotected, but gains from being mistaken for the model, which is unpalatable or protected. Two protected model species can also converge because of the advantage of being mistaken for each other (Müllerian mimicry). 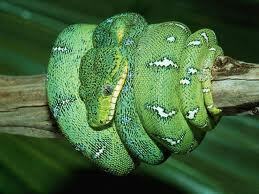 Mimicry is an interesting consequence of warning coloration that nicely demonstrates the power of natural selection. An organism that commonly occurs in a community along with a poisonous or distasteful species can benefit from a resemblance to the warningly colored species, even though the 'mimic' itself is nonpoisonous and/or quite palatable. Because predators that have experienced contacts with the model species, and have learned to avoid it, mistake the mimic species for the model and avoid it as well. 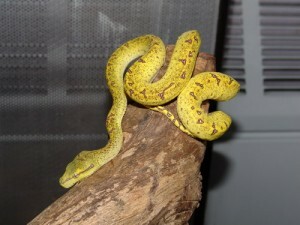 Such false warning coloration is termed Batesian mimicry after its discoverer. Many species of harmless snakes mimic poisonous snakes (Greene and McDiarmid 1981); in Central America, some harmless snakes are so similar to poisonous coral snakes that only an expert can distinguish the mimic from the 'model.' A few experts have even died as a result of a superficial misidentifications. Similarly, certain harmless flies and clearwing moths mimic bees and wasps, and palatable species of butterflies mimic distasteful species. 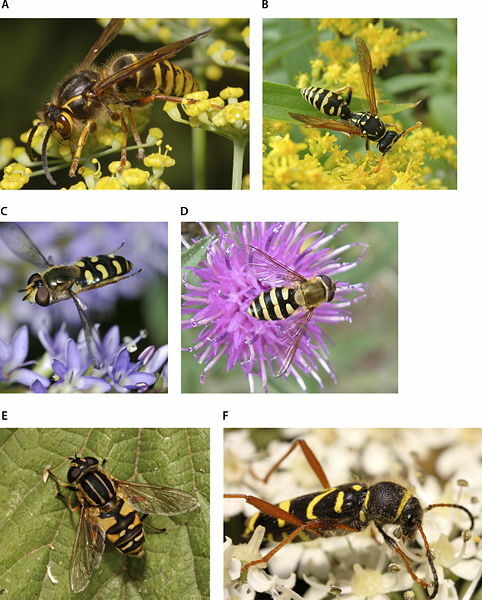 Batesian mimicry is disadvantageous to the model species because some predators will encounter palatable or harmless mimics and thereby take longer to learn to avoid the model. The greater the proportion of mimics to models, the longer is the time required for predator learning and the greater the number of model casualties. In fact, if mimics became more abundant than models, predators might not learn to avoid the prey item at all but might actively search out model and mimic alike. For this reason Batesian mimics are usually much less abundant than their models; also, mimics of this sort are frequently polymorphic (often only females are mimics) and mimic several different model species. Müllerian mimicry is different, and occurs when two species, both distasteful or dangerous, mimic one another. Both bees and wasps, for example, are usually banded with yellows and blacks. Because potential predators encounter several species of Müllerian mimics more frequently than just a single species, they learn to avoid them faster, and the relationship is actually beneficial to both prey species. The resemblance need not be as precise as it must be under Batesian mimicry because neither species actually deceives the predator; rather, each only reminds the predator of its dangerous or distasteful properties. Müllerian mimicry is beneficial to all parties including the predator; mimics can be equally common and are rarely polymorphic. Molecules can evolve convergently, especially when parasites mimic molecular messages that signal 'self' to immune responses of hosts, which allows the parasite to elude its host's defenses. Molecular convergence could also take place when a particular metabolic function requires similar or identical molecular structure (Doolittle 1994). Some gene circuits and gene networks appear to have undergone convergent evolution by single-gene duplications in higher eukaryotes (Amoutzias et al. 2004, Conant and Wagner 2003). Convergence in DNA nucleotide sequences would lead to erroneous phylogenetic conclusions, which would be problematical for molecular systematic studies. Evolutionary convergence involving unrelated organisms living in similar environments but in different places (allopatry) can also occur in another way. This usually takes place in relatively simple communities in which biotic interactions are highly predictable and the resulting number of different ways of exploiting the environment are limited. Similar environments pose similar challenges to survival and reproduction, and those traits that enhance Darwinian fitness are selected for in each environment. Such organisms that fill similar ecological roles in different, independently-evolved, biotas are termed "ecological equivalents" (Grinnell 1924, Hubbell 2006). Examples are legion. Wings and wing-like structures have evolved independently several times, in insects, reptiles (pterosaurs and birds) and in mammals (bats). Flight first evolved in insects about 330 million years ago (mya), second in pterosaurs (about 225 mya), later in birds (about 150 mya), and still later in bats (50-60 mya). Some frogs, lizards, and mammals have also evolved the ability to glide, presumably a precursor to flight. In order to land safely, such hang gliders must time their stall precisely at the right moment and place. For many years, avian systematists classified Old World and New World vultures as close relatives, both thought to be allied to raptors (hawks and owls). However, DNA hybridization suggested that, although Old World vultures are indeed related to raptors, New World vultures are not, but are descendents of common ancestors to storks and cranes (more recent studies are equivocal but still support independent evolution of the two clades). Morphological convergence was strong enough to actually mislead students of bird classification. Interestingly, a behavioral trait was conserved in the evolution of new world vultures: when heat stressed, storks defecate/urinate on their own legs to dissipate excess heat. New World vultures do this, whereas Old World vultures do not. 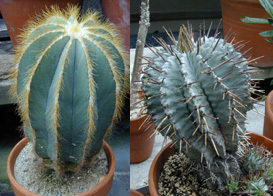 Arid regions of South Africa support a wide variety of euphorbeaceous plants, some of which are strikingly close to American cacti phenotypically. They are leafless stem succulents, protected by sharp spines, presumably adaptations to reduce water loss and predation in arid environments. Similarly, evergreen sclerophyll woody shrubs have evolved convergently under Mediterranean climates in several different regions (Mooney and Dunn 1970). A brown bird of some African prairies and grasslands, the African yellow-throated longclaw (Macronix croceus), a motacillid, has a yellow breast with a black chevron "V". 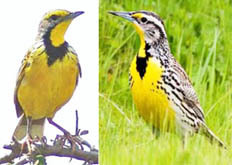 This motacillid looks and acts so much like an American meadowlark (Sturnella magna), an icterid, that a competent bird watcher might mistake them for the same species, yet they belong to different avian families. Another example is the North American Little Auk and the Magellan Diving Petrel, two superficially very similar aquatic birds, which belong to different avian orders. Convergence sometimes occurs under unusual conditions where selective forces for the achievement of a particular mode of existence are particularly strong. Presumably in response to thick-skinned prey, two fossil saber-tooth carnivores, the South American marsupial 'cat,' Thylacosmilus, and the North American placental saber-toothed tiger, Smilodon, evolved long knife-like canine teeth independently (but these were not contemporary). Many other marsupial mammals have undergone convergent evolution with placentals, including moles, mice, wombats (woodchucks), numbats (anteaters), quolls (cats), and thylacines (wolves). Still another example of convergent evolution is seen in the similar shape and coloration of fish and cetaceans, both of which have adapted to the marine environment by developing a fusiform body and neutral buoyancy (an extinct group of marine reptiles known as ichthyosaurs evolved the same body plan). Sharks and dolphins are also countershaded, with a light underbelly and a darker upper surface, which makes them less visible from both below and above. However, countershading is actually the rule among both arthropods and vertebrates, so it is presumably an ancestral state that has been retained throughout the evolution of both groups. Flightless birds such as the emu, ostrich, and rhea fill very similar ecological niches on different continents. If ratites evolved from a Gondwanan common ancestor, they would not represent evolutionary convergence but instead would constitute an example of a shared (and conserved) ancestral flightless state. Now thought to be convergent, DNA evidence suggests that these "ratites" do not share a common ancestry but have evolved independently. Live bearing, or viviparity, has evolved over 100 times among squamate reptiles (lizards and snakes) (Blackburn 1992), usually in response to cold climates. The probable mechanism behind the evolution of viviparity is that, by holding her eggs, a gravid female can both protect them from predators and, by basking, warm them, which would increase rate of development. Eventually, such selective forces favoring egg retention could lead to eggs hatching within a mother and live birth (Huey 1977). This has happened even in geckos, all of which lay eggs except for one genus in New Caledonia and several related cold temperate New Zealand forms, which bear their young alive. 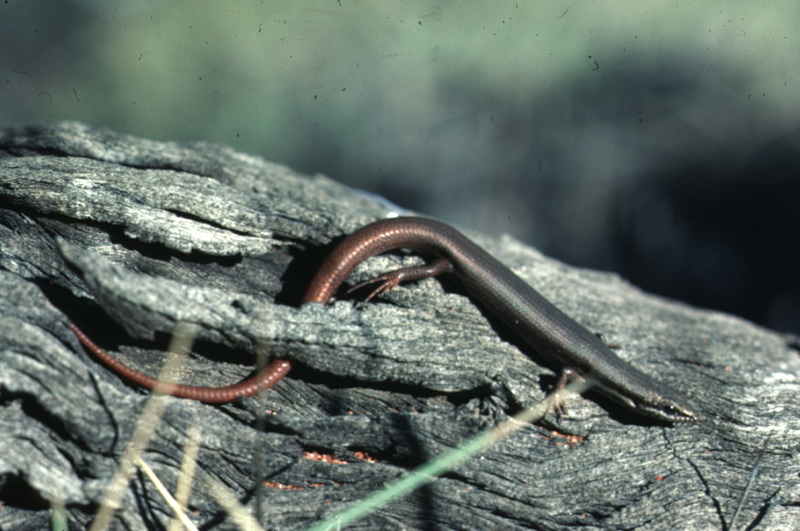 In some skinks and xantusiid lizards, embryos attach to their mother's oviducts and grow, gaining nutrients during development via placental arrangements reminiscent of those in mammals. Convergent evolutionary responses of lizards to arid environments are evident between continents. For example, Australian and North American deserts both support a cryptically-colored and thornily-armored ant specialized species: the thorny devil, Moloch horridus, an agamid, exploits this ecological role in Australia, while its counterpart the desert horned lizard (Phrynosoma), an iguanid, occupies it in North America. No Kalahari lizard has adopted such a life style. Interestingly, morphometric analysis demonstrates that the thorny devil and desert horned lizard are actually anatomically closer to one another than either species is to another member of its own lizard fauna, which are much more closely related (Pianka 1993). 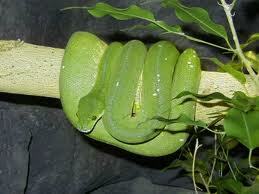 Emerald Tree Boas from South American Amazonian rainforests are strikingly convergent with Green Tree Pythons found halfway around the world in similar rainforests in Australia, a spectacular example of ecological equivalents. 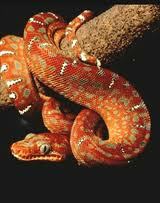 Both of these snakes live high up in the canopy and eat birds. Adults are green, cryptically colored, matching the colors of leaves. Juveniles of both species are bright yellow or orange. Colorful, blue, red and yellow tails have evolved repeatedly among distantly related lizards in many families (agamids, anguids, gymnopthlamids, lacerids, skinks, and teiids), presumably a ploy to attract a predator's attention away from the head to the tail, which can be broken off and regenerated should a predator attack it. The New World iguanid Basiliscus, sometimes called 'Jesus lizards,' because they can run across the surface of water, have undergone convergent evolution with the Old World agamid Hydrosaurus. Both Basiliscus and Hydrosaurus have enlarged rectangular, plate-like, fringed scales on their toes, which allow these big lizards to run across water using surface tension for support. Open sandy deserts pose severe problems for their inhabitants: (1) windblown sands are always loose and provide little traction; (2) surface temperatures at midday rise to lethal levels; and (3) open sandy areas offer little food or shade or shelter for evading predators. Even so, natural selection over eons of time has enabled lizards to cope fairly well with such sandy desert conditions. Subterranean lizards simply bypass most problems by staying underground, and actually benefit from the loose sand since underground locomotion is facilitated. Burrowing is also made easier by evolution of a pointed, shovel-shaped head and a countersunk lower jaw, as well as by small appendages and muscular bodies and short tails. Such a reduced-limb adaptive suite associated with fossorial habits has evolved repeatedly among squamate reptiles in both lizards and snakes (Weins and Slingluff 2002). During the hours shortly after sunrise, but before sand temperatures climb too high, diurnal lizards scurry about above ground in sandy desert habitats. Sand specialized lizards provide one of the most striking examples of convergent evolution and ecological equivalence. Representatives of many different families of lizards scattered throughout the world's deserts have found a similar solution for getting better traction on loose sand: enlarged scales on their toes, or lamellae, have evolved independently in six different families of lizards: skinks, lacertids, iguanids, agamids, gerrhosaurids, and geckos (Luke 1986). A skink, Scincus, appropriately dubbed the 'sand fish,' literally swims through sandy seas in search of insect food in the Sahara and other eastern deserts. These sandy desert regions also support lacertid lizards (Acanthodactylus) with fringed toes and shovel noses. Far away in the southern hemisphere, on the windblown dunes of the Namib desert of southwestern Africa, an independent lineage of lacertids, Meroles (formerly Aporosaura) anchietae, has evolved a similar life form. In North America, this body form has been adopted by members of the iguanid genus Uma, which usually forage by waiting in the open and eat a fairly diverse diet of various insects, such as sand roaches, beetle larvae and other burrowing arthropods. They also listen intently for insects moving buried in the sand, and dig them up. Sometimes they dash, dig, and paw through a patch of sand and then watch the disturbed area for movements. All of these lizards have flattened, duckbill-like, shovel-nosed snouts, which enable them to make remarkable 'dives' into the sand even while running at full speed. The lizards then wriggle along under the surface, sometimes for over a meter. One must see such a sand diving act to appreciate fully its effectiveness as a disappearing act. Some Namib desert lizards have discovered another solution to gain traction on powdery sands: frog-like webbing between the toes as seen in the geckos Kaokogecko and Palmatogecko (now Pachydactylus). Other lizards that have undergone convergent evolution include rock mimics such as the North American horned lizard Phrynosoma modestum, an iguanid, and the Australian agamid Tympanocryptis cephalus. New World teiids (Tupinambis) have converged on Old World varanids (Varanus): members of both genera are large predatory lizards with forked tongues which they use as edge detectors to find scent trails and track down their prey (other vertebrates). Sometimes, roughly similar ecological systems support relatively few conspicuous ecological equivalents but instead are composed largely of distinctly different plant and animal types. For instance, although bird species diversities of temperate forests in eastern North America and eastern Australia are similar (Recher 1969), many avian niches appear to be fundamentally different on the two continents. Honeyeaters and parrots are conspicuous in Australia whereas hummingbirds and woodpeckers are entirely absent. Apparently different combinations of the various avian ecological activities are possible; thus, an Australian honeyeater might combine aspects of the food and place niches exploited in North America by both warblers and hummingbirds. An analogy can be made by comparing the 'total avian niche space' to a deck of cards. This niche space can be exploited in a limited number of ways, and each bird population or species has its own ways of doing things, or its own �hand of cards,� determined in part by what other species in the community are doing. A very striking example of evolutionary convergence involves the eyes of vertebrates and cephalopod mollusks. Both have independently evolved complex camera-like eyes complete with an aperture, lens, and retina. Prominent anti-Darwinian Charles Hodges once suggested that the vertebrate eye was too complex to have evolved by natural selection and therefore must have been �designed.� However, vertebrate eyes are poorly designed as compared to cephalopod eyes. In vertebrates, nerve fibers pass in front of the retina creating a blind spot, whereas nerves lie behind the retina in the superior cephalopod eye which does not have a blind spot. Sadly, the �intelligent designer� has failed us! Amoutzias, G. D., D. L. Robertson, S. G., Oliver, and E. Bornberg-Bauer. 2004. Convergent evolution of gene networks by single-gene duplications in higher eukaryotes. EMBO Rep. 5: 274-279. Blackburn, D. G. 1992. Convergent evolution of viviparity, matrotrophy, and specializations for fetal nutrition in reptiles and other vertebrates. American Zoologist 32: 313-321. Conant, C. and A. Wagner 2003. Convergent evolution of gene circuits. Nature Genetics 34, 264-266. Doolittle. R. F. 1994. Convergent evolution: the need to be explicit. Trends Biochem. Sci. 19: 15-18. Greene, H. W., and R. W. McDiarmid. 1981. Coral snake mimicry: does it occur? Science 213 (4513): 1207-1212. Grinnell, J. 1924. Geography and evolution. Ecology 5: 225-229. Luke, C. 1986. Convergent evolution of lizard toe fringes. Biol. J. Linnean Soc. 27:1-16. Mooney, H. A. and E. L. Dunn. 1970. Convergent evolution of Mediterranean-climate evergreen sclerophyll shrubs. Evolution 24: 292-303. Pennycuick, C. J. 2008. Chapter 16. Evolution of Flight in "Modelling the Flying Bird" Theoretical Ecology Series, Volume 5, Pages 443-462. Pianka, E. R. 1993. The many dimensions of a lizard's ecological niche. Chapter 9 (pp. 121-154) in E. D. Valakos, W. Bohme, V. Perez-Mellado, and P. Maragou (eds.) Lacertids of the Mediterranean Basin. Hellenic Zoological Society. University of Athens, Greece. Pianka, E. R. 2000. Evolutionary Ecology. Sixth Edition. Benjamin-Cummings, Addison-Wesley-Longman. San Francisco, 2000. Recher, H. F. 1969. Bird species diversity and habitat diversity in Australia and North America. American Naturalist 103: 75-80. Wickler, W. 1968. Mimicry in plants and animals. McGraw-Hill. Wiens, J. J. and J. L. Slingluff. 2002. How lizards turn into snakes: a phylogenetic analysis of body-form evolution in anguid lizards. Evolution 55: 2303-2318.